What: Introduce your tweens and teens to the original high school musical. The always-inventive Serenbe will evoke a vintage drive-in theater—complete with VIP hot rod—in this open-air staging. What: Kick off the season at PCM’s rooftop carnival. In addition to the usual putt-putt, games, Heege Tower and giant slide, Skyline Park will host face painting, balloon artists, bubble machines, and a live DJ. What: Each year, the Fort Yargo Historical Society hosts this event to teach kids about frontier life in 1700s Georgia. There will be demonstrations from craftsmen and women, frontier camps, a trading post, 18th century music, and children’s activities. What: Cozy up to nature in advance of Earth Day. Get up close with farm animals, explore a working vegetable garden, and go home with some native plants of your own. Plus: face painting and outdoor games. What: Watch as the Easter Bunny arrives by parachute, then switch on your flashlights for this evening hunt. In addition to 50,000 eggs, there will be face painting, balloon animals, and inflatables. What: It’s pajama party time at Emory’s Carlos Museum, as the Vega Quartet performs musical stories. Cozy up and listen with a cup of hot chocolate with marshmallows. What: This arts and music festival also includes a kids village packed with carnival rides and inflatables. Show up on the 7th for Family Friday, when you can purchase a wristband for unlimited rides, and catch a special African dance workshop. Stick around for opening night fireworks! What: Learn how wool becomes cloth with sheep shearing, wool dyeing, spinning, and weaving demonstrations. What: The Truett Cathy–founded farm opens its doors for free to celebrate Easter. Take pics with the Big Bunny and scour the grounds for more than 40,000 eggs (there are three age-specific hunts throughout the afternoon). Note: There will also be a telling of the Biblical story of Easter. Afterwards, take a whirl on the carnival rides, including a locomotive train, carousel, and inflatable jumping pillow. What: There will be baby animals for petting, giant bubbles for popping, paper baskets for coloring, and eggs for finding. Afterwards, burn off your candy high with a spring hike in Fernbank Forest. 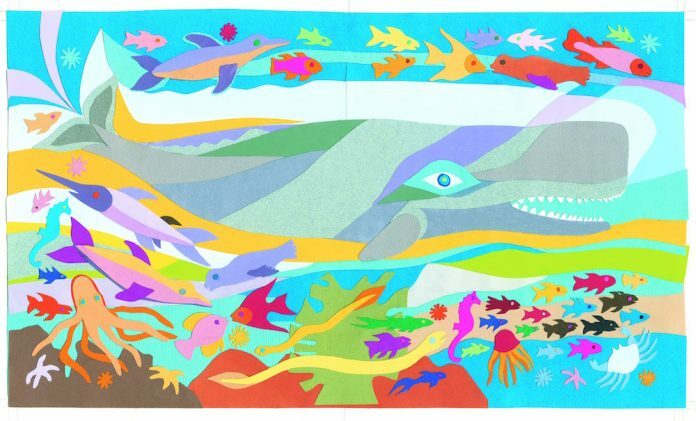 What: Learn about this eight-day Jewish spring festival with a reading of Tomie dePaola’s My First Passover plus singing and crafts (where else can you make your own Red Sea in a bottle?). What: Among the many activities on deck this Sunday afternoon: Performances of the Alliance Theatre’s Cinderella and Fella and Dinosaur! (see descriptions above), a docent-led family tour of the High Museum, a dance performance by Moving in the Spirit, a ukulele workshop, and a family dance party. What: Comb the historic Smith Family Farm for colorful eggs and participate in Easter-themed games like the Peep Toss at this event for toddlers and preschoolers. What: The award-winning local YA author (her 2015 coming-of-age novel about a gay teen, Simon vs. The Homo Sapiens Agenda, is now being made into a movie) stops by the Decatur bookstore to launch her newest book, The Upside of Unrequited. What: BYO basket and spend the morning filling it with candy-filled eggs. The Easter Bunny will also be available for photo ops. What: It’s opening weekend for the Braves in their new home: SunTrust Park. Opening day attendees will get commemorative tickets, while on the 16th kids can line up to run around the bases. And yes, there will be fireworks. What: This annual foodie event includes a free Easter egg hunt with more than 30,000 of the plastic suckers. The hunts are staggered by age group: ages 3 and under fill their baskets at 11:30, 4- to 7-year-olds at 1:00, and 8- to 10-year-olds at 2:30. There will also be live music and a kids play area. What: It’s the Big Kahuna of metro Atlanta egg hunts: 90,000 eggs and pieces of candy, dropped from a helicopter on to Sprayberry’s athletic field. The mad rush begins at 11:30 a.m. with the toddler egg hunt (there are two more hunts for older children, and the helicopter takes another pass to drop more treats before each one). Kids can also enjoy inflatable rides, face painting, and a comedy circus act. What: Meet the Easter bunny and search for his candy-filled eggs—then hit the kids dance floor, build a LEGO creation, or get your face painted. There are three egg hunts for kids of various ages: newborns and toddlers start searching at 11:15, preschoolers at 11:30, and elementary schoolers at 11:45. What: Based on the book by Roald Dahl, this Tony-winning musical tells the story of a precocious little girl with beastly parents who befriends her kindergarten teacher, Miss Honey. What: Disney fans will go ga-ga for ice-skating theatrics featuring characters like Lightning McQueen, Woody and Buzz Lightyear, Anna and Elsa, and Princess Ariel. What: Pull out your big brims for this annual spring festival, featuring all things horsey (racing, Budweiser Clydesdales, pony rides), but also too-cute Jack Russell Terrier races, bagpipers, skydiving, and—you guessed it—a fancy hat parade. What: Immerse yourself in the cuisine and culture of the Middle East at this annual event. Browse the offerings at the Arab food court, shop in a bustling “souk,” and enjoy live music, dance, and poetry performances. There will also be plenty of standard kid fare like carnival games, face-painting, and bouncy houses. What: One of the biggest Streets Alive events of the year stretches through seven neighborhoods, from Westview to Grant Park. Show up with your skates, strollers, or scooters for a car-free afternoon. What: Lois Reitzes—the voice of WABE—narrates two classic children’s stories: Ferdinand the Bull and Peter and the Wolf, with piano accompaniment by Elena Cholakova and William Ransom. What: Celebrate the indie spirit with a day’s worth of events: make your own Little Golden Book, meet YA authors Laura Silverman (Girl Out of Water) and Ashley Poston (Geekerella), and party like Timothy Failure. What: The beautiful Victorian neighborhood hosts a seriously quirky festival, with bands playing across three stages, dance performances in the Trolley Barn, an arts and crafts market, and a showstopping Saturday afternoon parade. A self-guided tour offers a glimpse inside some of those historic homes.